You are here: Home / News / Frag’ Henry! and his favorite topic ‘cheese’! Frag’ Henry! and his favorite topic ‘cheese’! Frag’ Henry! and his favorite topic ‘cheese’! 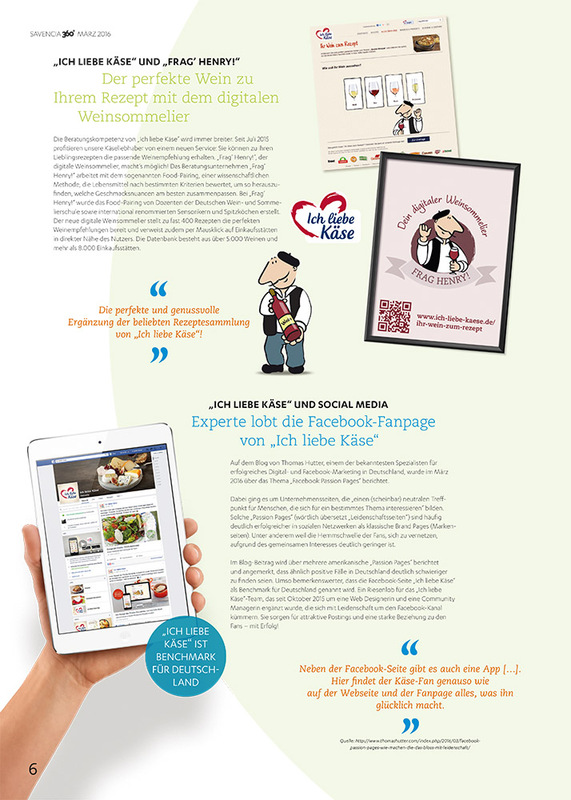 Our cooperation with ich-liebe-kaese.de (I love cheese!) is the sucess story in the Savencia magazine! ‘The perfect wine for your recipe, provided by your personal digital sommelier‘ Through HENRY, Savencia has found the perfect assistant for recipes and taste lovers! http://www.frag-henry.com/wp-content/uploads/2012/01/Savencia-360_01-16_Extern-6.jpg 1000 714 wpadmin http://www.frag-henry.de/wp-content/uploads/2016/06/HENRY-claim2-300x25.png wpadmin2016-04-28 11:48:472016-04-28 12:02:29Frag' Henry! and his favorite topic 'cheese'!